Laci Sandoval of Wind & Rye Kitchen. Photo courtesy of Kate Webber Photography. The 22-year-old Bistro Ralph in Healdsburg will be closing this year. 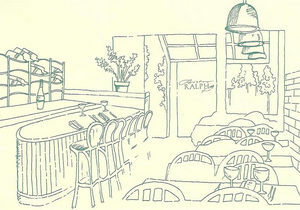 Image courtesy of Bistro Ralph. Food and Wine magazine’s Dana Cowin will be at Michael Chiarello’s Bottega on Wednesday October 22nd. Photo courtesy of Book Passage. Upcycling Tomatoes: What do you do when life gives you 1,500 pounds of ripe, slightly bruised tomatoes? Make a whole lot of tomato sauce, Bloody Mary mix, and tomato jam. That’s the idea behind ~WIND &AMP; RYE KITCHEN~, a start-up imagined by pastry chef and farmer Laci Sandoval. In just a few months, with nothing more than a truck, a borrowed kitchen, and a willing local chef, she’s transformed, literally, tons of produce headed for the compost pile into shelf-stable products. That’s a whole lot of tasty spaghetti sauce. It seems the bounty of Sonoma County is sometimes a bit too bountiful, with up to 30 percent (!) of farmers’ market produce going to waste because of minor bruises and blemishes. Working with nearby County Line Harvest in Petaluma and Backyard Kitchen in Forestville, Sandoval has rescued and upcycled these well-worn tomatoes into bottled deliciousness. The Wind & Rye Kitchen project this summer has offered just a peek at what Sandoval envisions: a large shared commercial kitchen, food incubator, classroom, and gathering spot that would be within the financial reach to the average Sonoma County eater. (It would also be a spot to bake her astounding wedding cakes.) And BiteClub’s all about that kind of thinking. Sandoval launched a $40,000 Kickstarter campaign this week with the goal of converting an old barn on her property into a commercial kitchen. 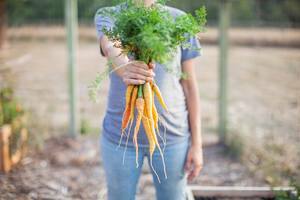 With the dearth of affordable shared commercial kitchens in Sonoma County, it opens the door to small farms that may want to test a prepared product without a steep financial investment. In addition to the kitchen, Sandoval hopes to host reasonably priced farm dinners, cooking classes, and events that focus on local foods. “Wind & Rye Kitchen was created to celebrate our personal relationship with food through the ritual of eating on special occasions and in our daily lives. Whether you’re looking for the perfect wedding cake or a memorable meal shared with friends under a starry night sky, we welcome you to feast with us,” said Sandoval. Contribute to the Wind & Rye Kickstarter campaign here. Bistro Ralph Closing, Long Live Ralph! : For months there’s been speculation about the future of the popular ~BISTRO RALPH~, on the Healdsburg square. BiteClub’s got the scoop that owner Ralph Tingle is selling the eponymous restaurant; the last day of service is slated for Saturday November 8th. “Twenty-two years inside these walls in enough,” said Tingle. But don’t expect him to be off the radar for long. Tingle plans to open a roadhouse-style restaurant with a full bar and beer garden in Healdsburg next summer. “I’m reinventing myself,” he said. As for the fate of Bistro Ralph? Tingle said the new owners (who he won’t yet name) are planning to continue operating the restaurant as Bistro Ralph until the end of the year; they plan to remodel and rename the restaurant in 2015. Big names involved? We suspect so, as Bistro Ralph is on some prime downtown H-burg real estate. It’s Michelin season! As a preview to the big stars that will be announced Tuesday, the restaurant rating guide has announced its San Francisco Bay Area Bib Gourmand Awards. It’s a huge feather in the caps of moderately priced restaurants (i.e., the places most of us can actually afford) and a definite pathway to the stars. This year’s Bib winners for Wine Country are: Backyard (Forestville), Bistro Jeanty (Yountville), Bistro 29 (Santa Rosa), C Casa (Napa), Chalkboard (Healdsburg), Cook (St. Helena), The Farmer & the Fox (St. Helena), The Girl & the Fig (Sonoma), Glen Ellen Star (Glen Ellen), Grace’s Table (Napa), Hot Box Grill (Sonoma, under new ownership), LaSalette (Sonoma), Monti’s Rotisserie (Santa Rosa), Oenotri (Napa), Redd Wood (Yountville), Risibisi (Petaluma), Sazón (Santa Rosa), Scopa (Healdsburg), Willi’s Wine Bar (Santa Rosa). Falling off this year’s list: Cucina Paradiso (Petaluma) and Boon Eat & Drink (Guerneville), which was a bit of a shocker. Burnt Ends (The Tasty Bits): Was that chef Duskie Estes of Zazu Kitchen + Farm making BLTs on Simply Ming last Friday? You bet. Watch for future broadcasts on KQED Life. Chef Michael Chiarello hosts Food and Wine editor Dana Cowin at his Yountville restaurant, ~BOTTEGA~, on Wednesday October 22nd. Cowin will be introducing her new book, Mastering My Mistakes in the Kitchen. The book lays bare her many kitchen mishaps (including an infamous bout with a blender), with course-correcting techniques from 65 of her chef buddies, including Eric Ripert (lobster sauce), Ming Tsai (pot stickers), Thomas Keller (chicken), and Jonathan Waxman (turkey). Presented in conjunction with Book Passage, the $140 prices includes a meal with wine and a signed book. Details online.